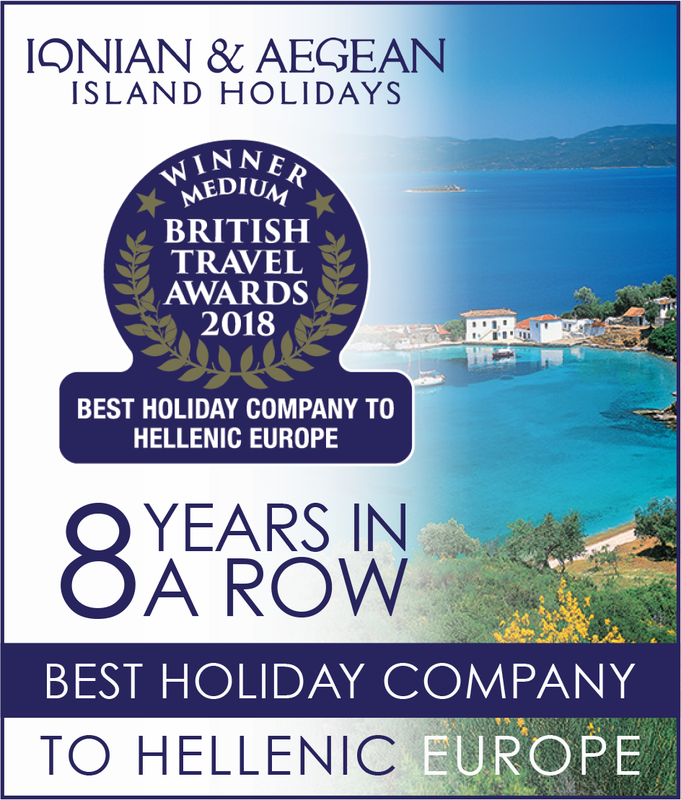 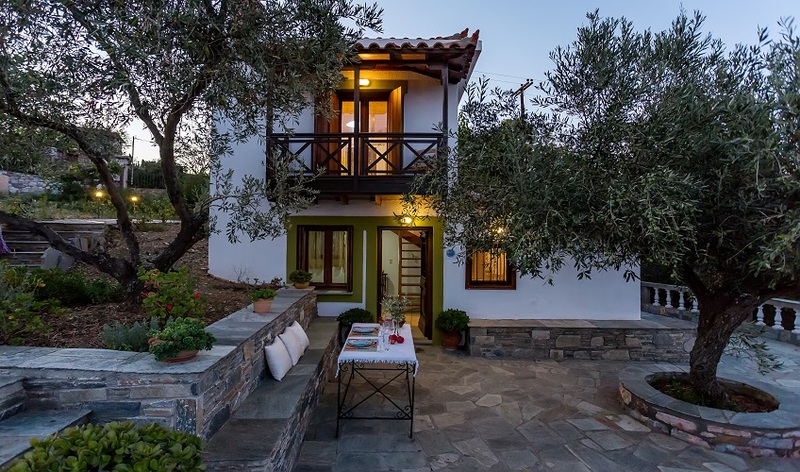 Skopelos is often referred to as the greenest of all the Aegean Islands with its magnificent nature and the pristine beaches that entice people back year after year. 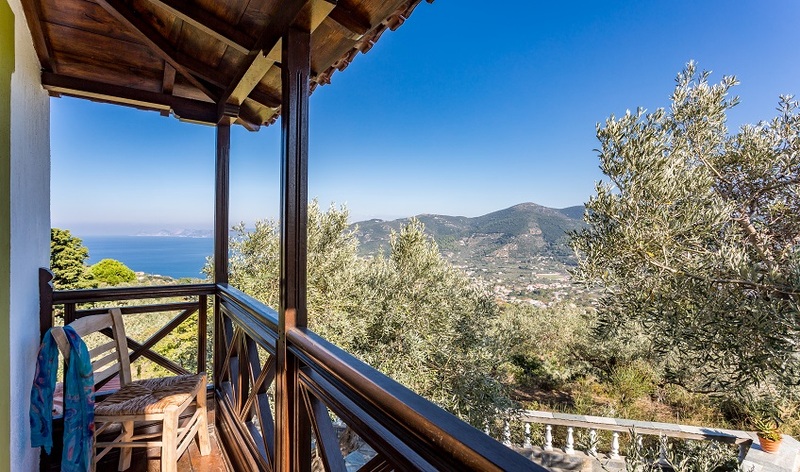 The interior of the island is a myriad of unmade tracks and trails passing one of the many beautiful churches on the island. 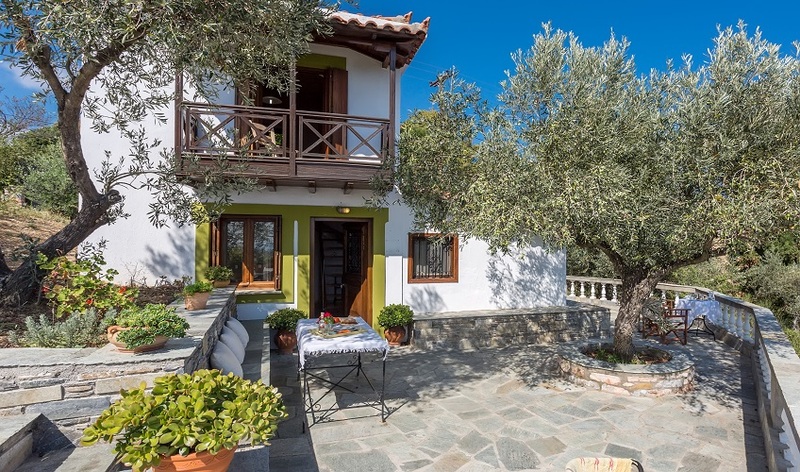 Skopelos with its magnificent craggy coastline hiding hundreds of secluded bays and inlets each with its own sheltered beach fringed by pine forests and olive groves. 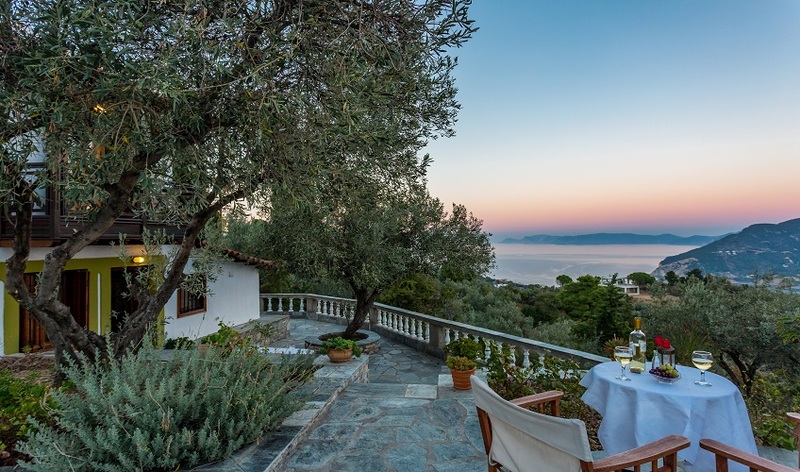 The bustling harbour town is a maze of narrow streets with an array of shops, café bars and tavernas to frequent during your stay. 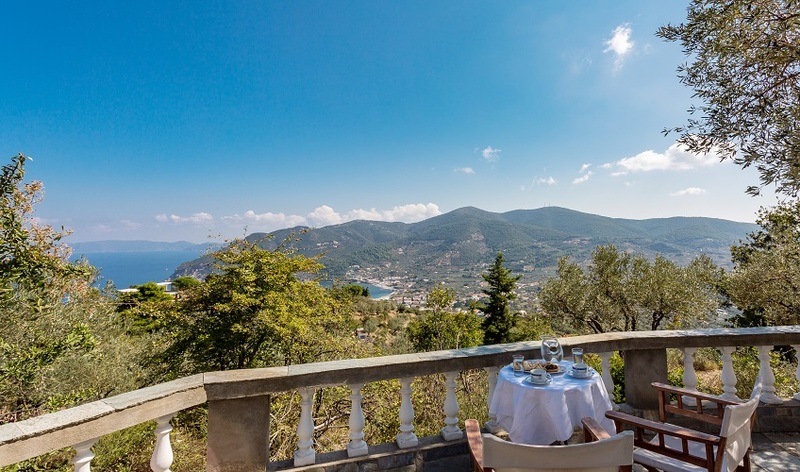 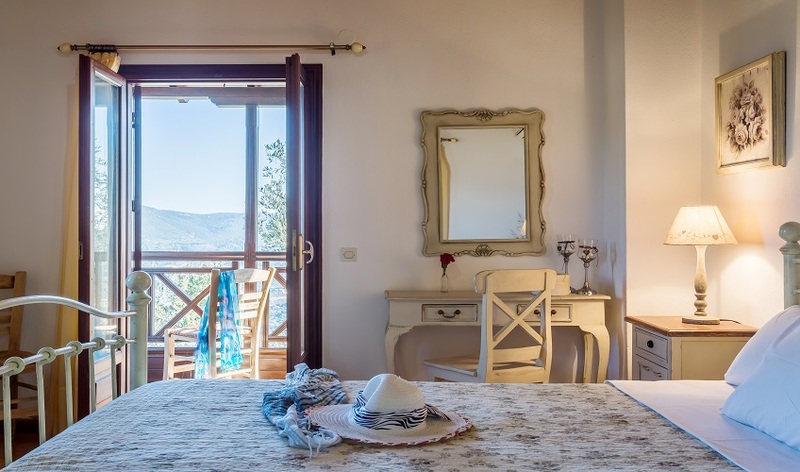 Villa Leofoto is located in the Raches area on the hillside offering commanding views of Skopelos harbour and the sea beyond. 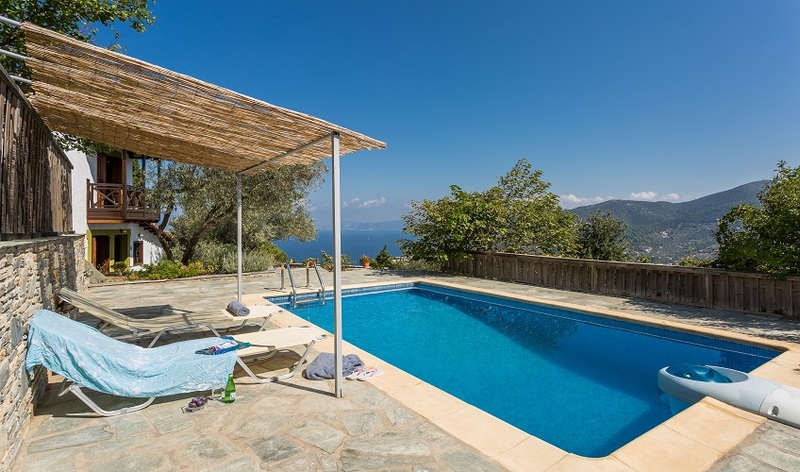 Perhaps the best views can be found from the pool where the magnificent sight of Alonissos and Mt Palouki can be found in the distance. 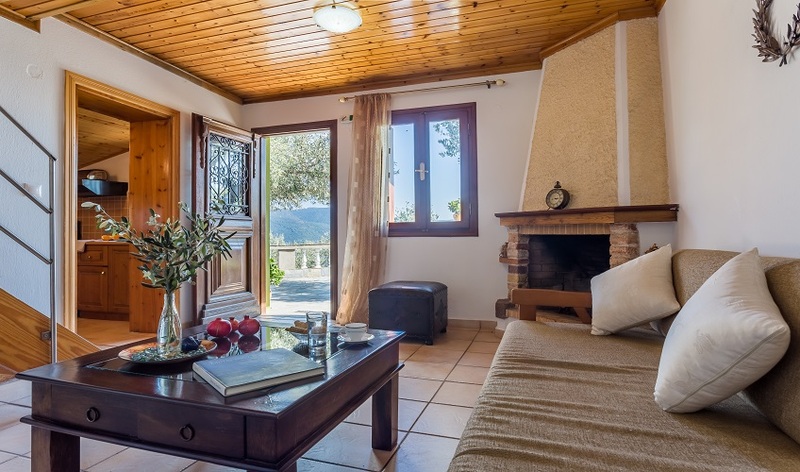 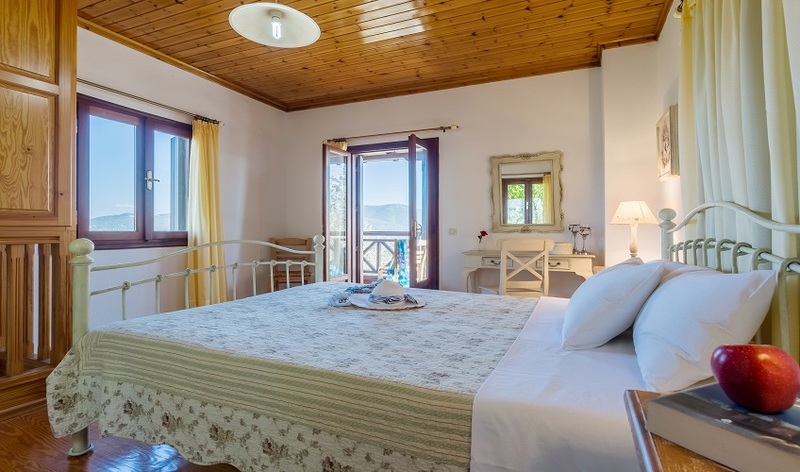 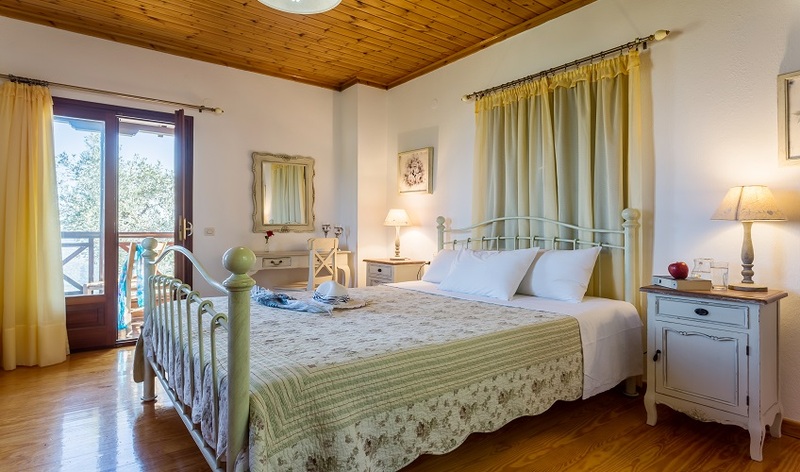 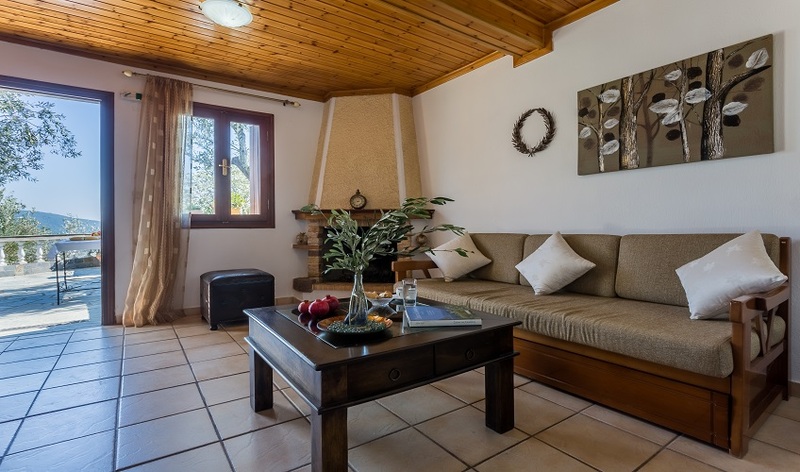 This traditional decorated one bedroom villa is perfectly located for those wanting to get away from it all yet only a 15minute drive to Skopleos Village with all its amenities, the choice is yours! 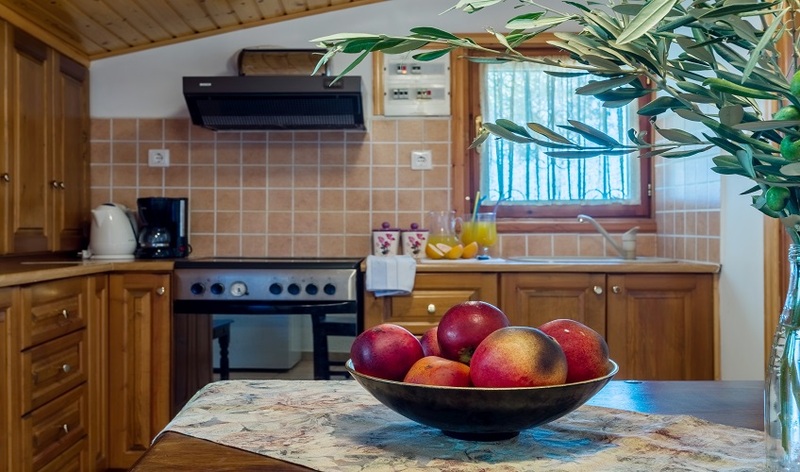 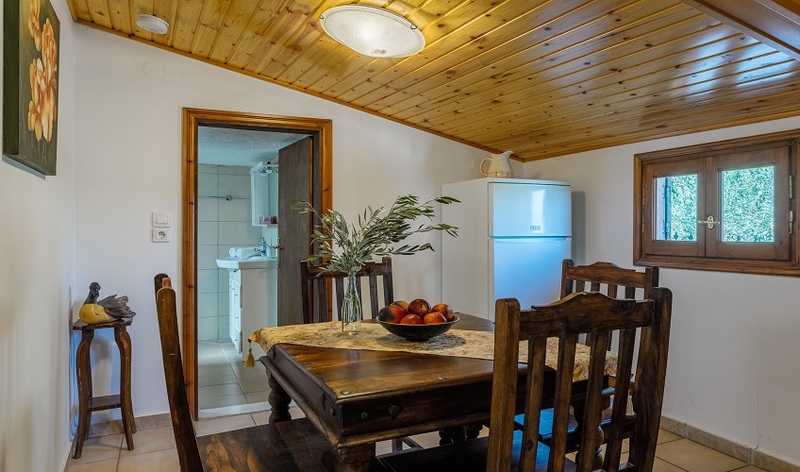 Villa Leofoto has a good size kitchen equipped with a full size cooker and fridge freezer and with all the utensils to cook a basic meal should you wish not to venture further afield. 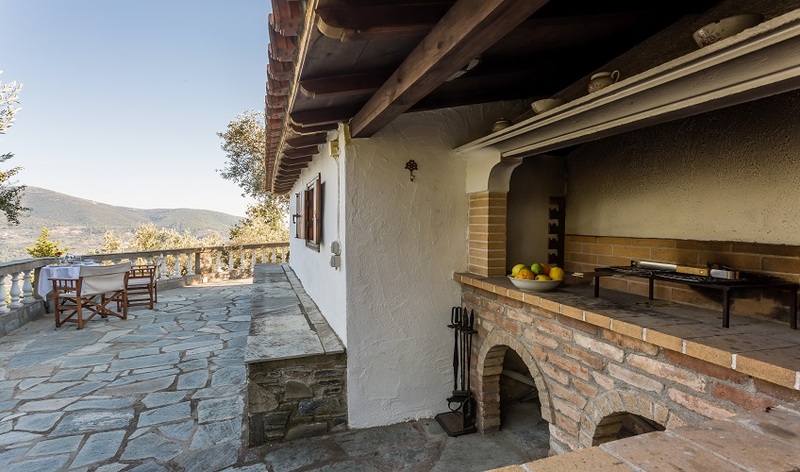 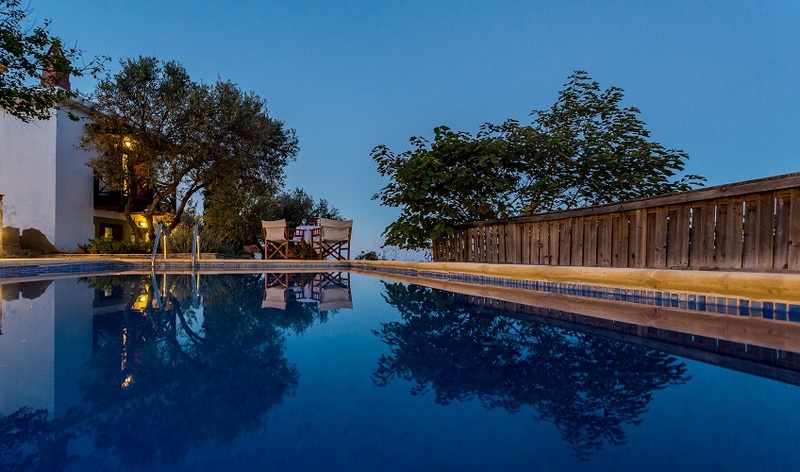 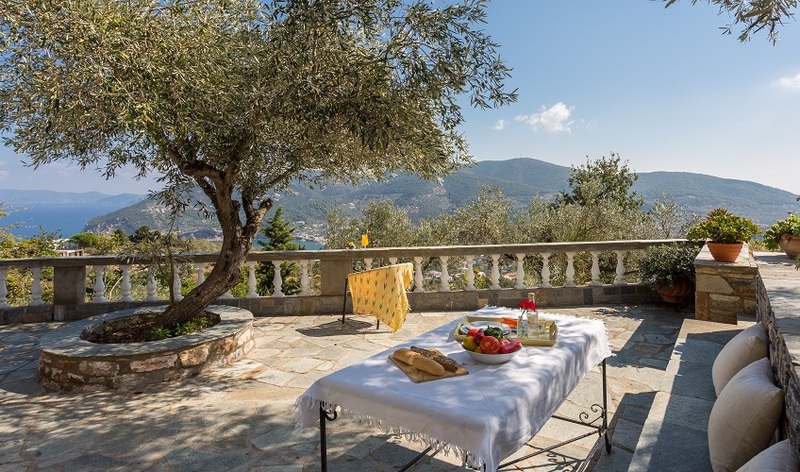 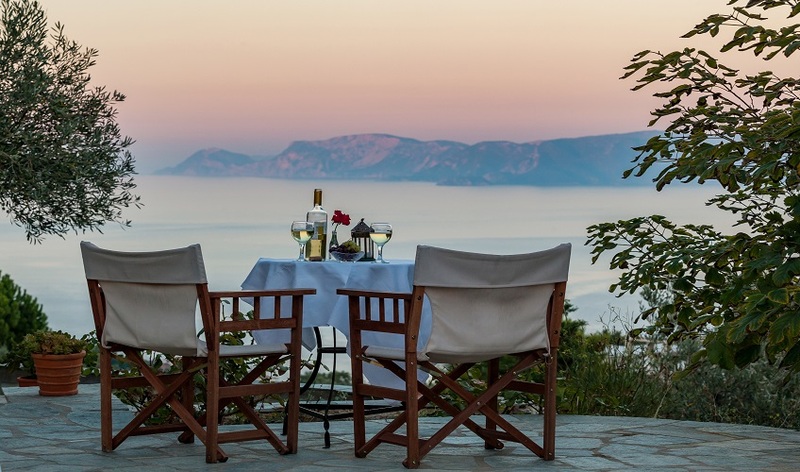 The villa has its own barbeque perfect for alfresco dining under the shade of the olive tree. 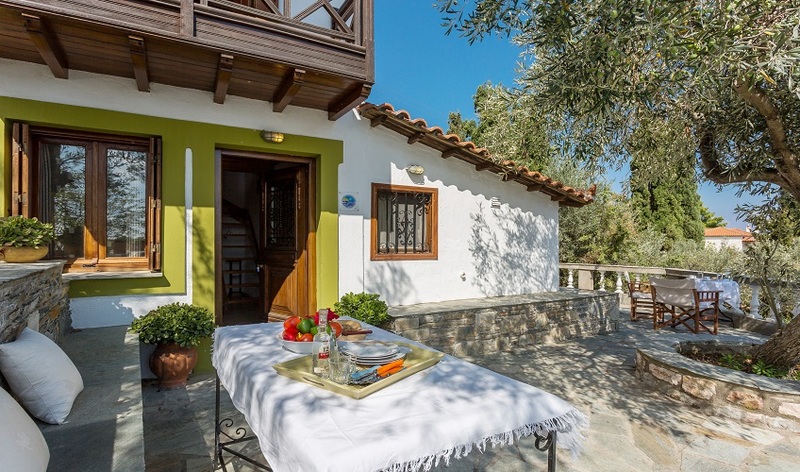 This lovely one bedroom villa is perfect for couples looking for a romantic getaway from it all.